India’s apex court delivered a 112-page landmark judgement which dismissed Swiss pharma giant Novartis AG’s appeal for a patent for its life-saving cancer drug marketed under brand name Glivec in most parts of the world. 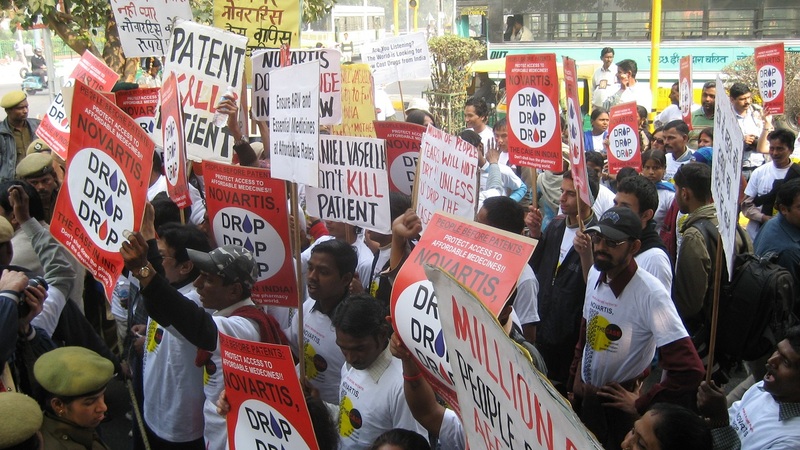 29 January 2007: Treatment activists and people living with HIV rally in Delhi to demand that Novartis Drop the case against 3(d). Leena Menghaney, South Asia head for Médecins Sans Frontières’ (MSF, Doctors Without Borders) access campaign, says there is greater global awareness that the patent system is being abused by the pharmaceutical industry to block the early entry of competition that drives medicine prices down. “Despite all the pressure from various fronts, from Big Pharma and countries of their origin, at negotiations in trade deals, Indian courts have upheld the underlying principles of section 3(d) and thwarted attempts by multinational firms to evergreen their medicines. This has kept costs of life-saving drugs low,” Gangte said. While activists on the frontline of the battle for affordable medicines in India, like Sapru, Gangte and others, typically point out the positive fallout of the landmark judgment, pressures and challenges continue. The first study, which analysed the rejected patents by the IPO, reported a rise in rejections based on the precedent set by the Supreme Court in dealing with Section 3(d) of the Indian Patent Act in the Novartis case. “Section 3(d) was raised in 69% of the cases where the exceptions to patentability were cited indicating its use as a policy tool by the IPO in rejecting applications that fell within the exceptions,” noted the report released in December 2017. Inspired by India’s example, South Africa’s draft intellectual property rights policy also proposes stricter patent criteria and patent oppositions. South Africa’s draft IP policy identifies public health as a priority on the basis of important public interest considerations. “The draft policy from last August has been approved by cabinet – but no final policy has been released, and no legal reform has occurred yet. Some patent examiners have been hired, but they are still being trained and not yet examining,” Rutter said. “Thailand has a great number of evergreening patents on medicines. A study supported by the Health Systems Research Institute in Thailand and the Department of Intellectual Property looked at over 2000 patent applications and patents granted in Thailand between 200o – 2010. It found that that 74% of the patents granted in that period were evergreening patents and 84% of the patent applications were ever-greening,” Chalermsak Kittitrakul, coordinator for the Access to Medicines campaign at AIDS Access Foundation in Thailand said. 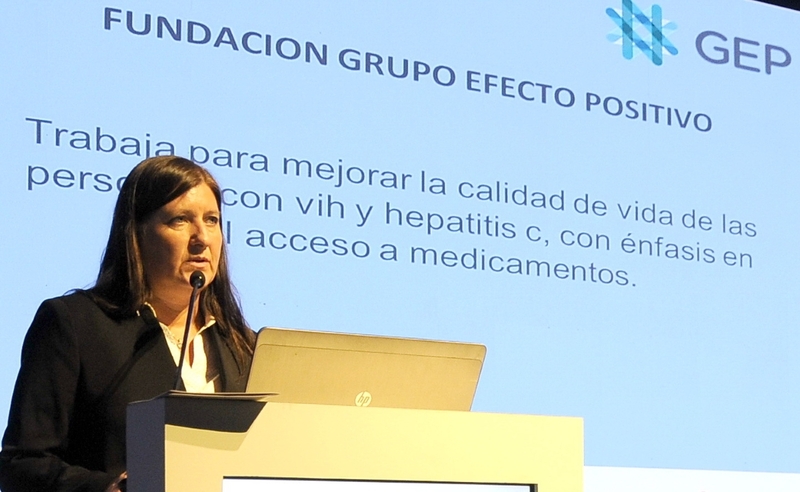 She pointed out that in 2012, Argentina also made use of the right to define patentability criteria (in consonance with the TRIPS Agreement) for the application of the legal requirements of novelty, inventive step and industrial application and subsequently, the government established even more strict and pro-health, anti-evergreening guidelines for the examination of pharmaceutical patent applications. But as in many other countries, there is a predictable backlash. 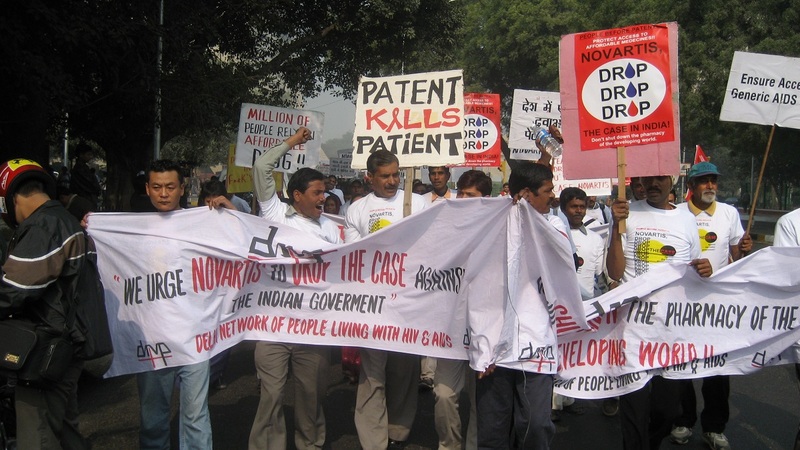 "Five Years After The Indian Supreme Court’s Novartis Verdict" by Intellectual Property Watch is licensed under a Creative Commons Attribution-NonCommercial-ShareAlike 4.0 International License.